If you’re like most people, walking into the Palace Press causes a bit of bedazzlement. All those old presses, stacks of cases and walls lined with posters, broadsides and fliers. There’s so much eye candy that you might miss one of its best attributes: Its library. The Palace Press library covers subjects like lettering, papermaking, and typesetting, and features examples of works done in the early days of printing. Dard Hunter’s interest began in the early 1920s. 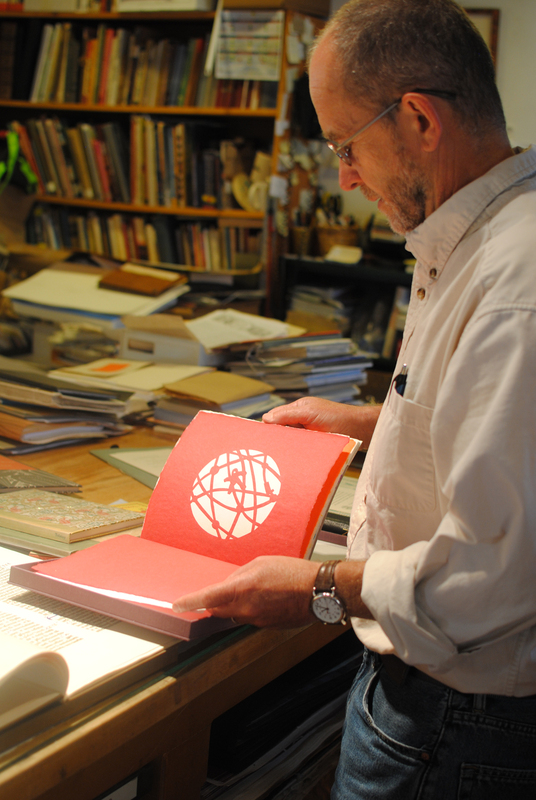 Since then, there has been a renaissance of creating paper and using it in traditional presses, which feeds into the craft of printing and its significance today. Leech and fellow pressman James Bourland follow that example even today—often after consulting the books on their shelves. Rodeo, San Juan Pueblo, by Sam Adams, 1996-2005. Palace of the Governors Photo Archives, Photo Legacy Project. Adams bit and began snapping pics at age 9. Today, he’s a retired motion-picture and television literary agent who moved to Santa Fe in 1989 and turned his attention full-time to photography. 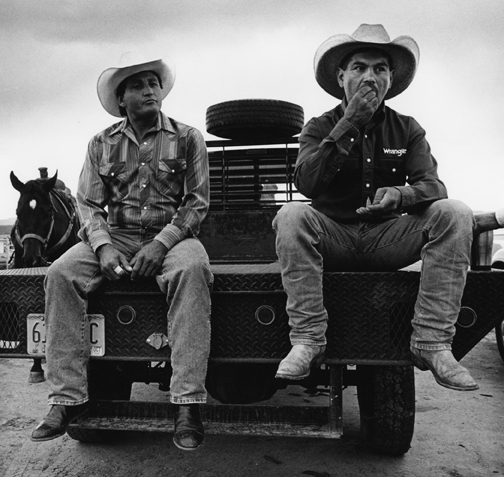 In 2005, he won the New Mexico Council on Photography’s Eliot Porter Award. His work has been exhibited at regional museums and, most recently, took over the Meem Community Room, where we’ll host a small reception for Photography of Sam Adams, from 5–7 pm on Friday, August 7.